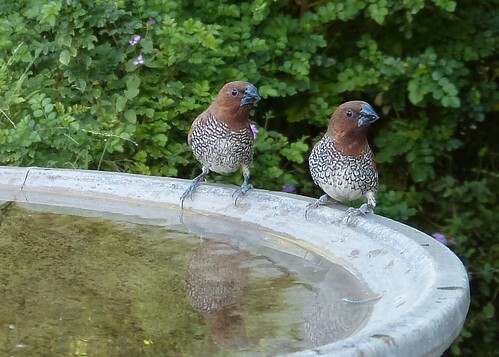 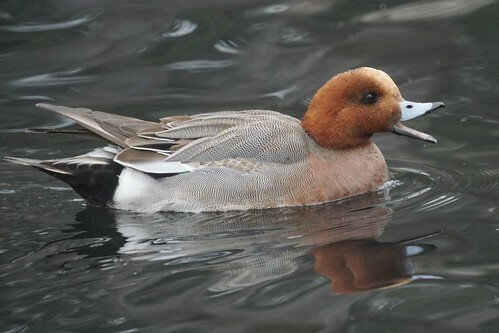 Birding the OC: Eurasion Widgeon at Tewinkle Park and swallows at San Jaoquin wildlife refuge. 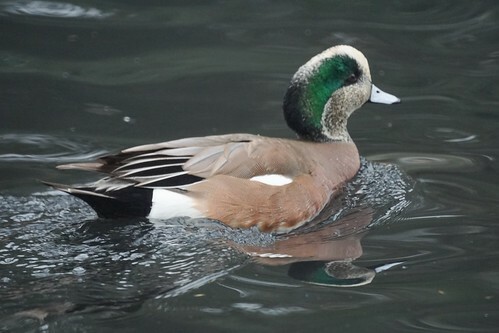 A Eurasian Widgeon had been reported at Tewinkle Park in Costa Mesa and that would be a life bird for us. 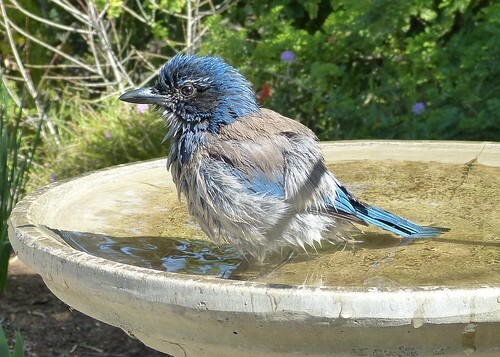 Mike had to fly out of John Wayne so he stopped by before his flight. 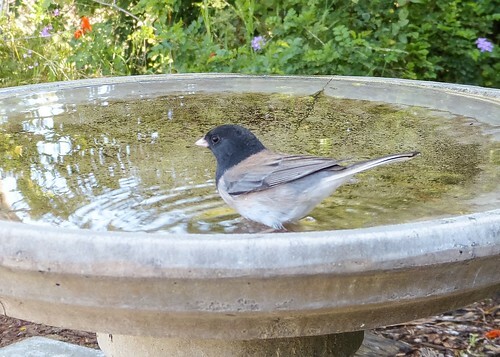 The bird was easy to spot in the "cement pond" and easy to photograph. 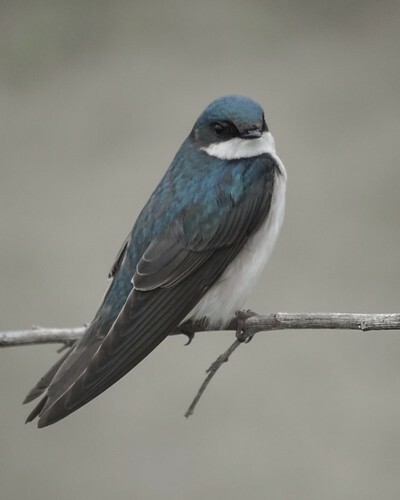 There's not much to do at Tewinkle other than see the Eurasian Widgeon, so there was a little time to drop by San Jaoquin Wildlife Refuge where the tree swallows were out in force. 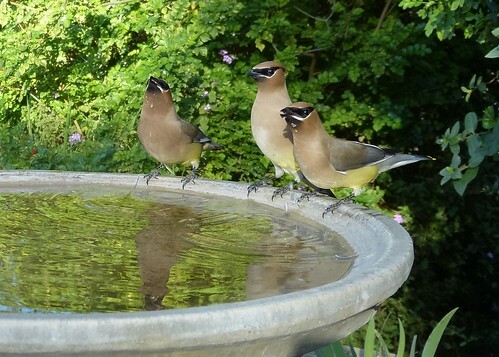 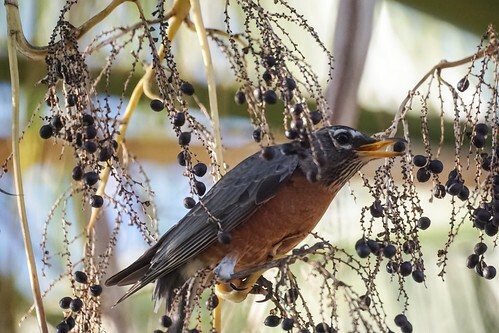 When we lived on the east coast we never imagined that Robins or Waxwings feasted at Palm Trees. 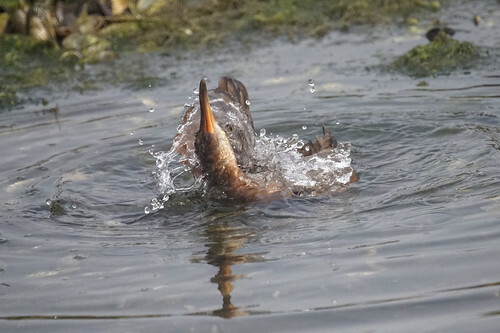 We went to Bolsa Chica in Huntington Beach. 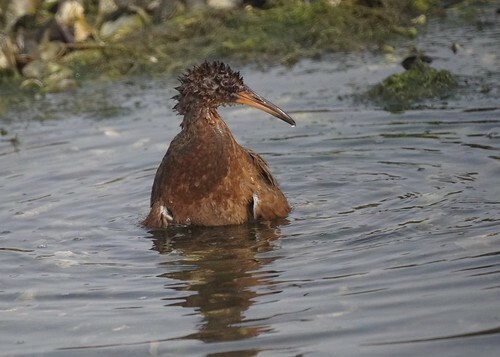 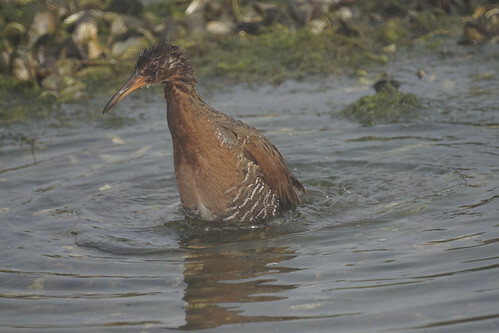 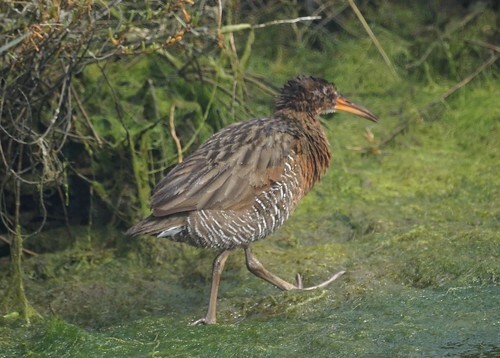 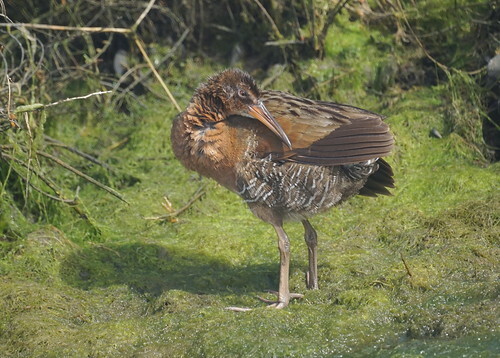 The most interesting find was a light-footed clapper rail bathing in front of the footbridge. 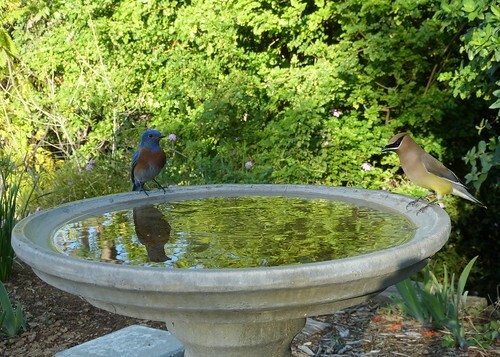 We dropped by Yucaipa Regional Park on the way to a nursery. 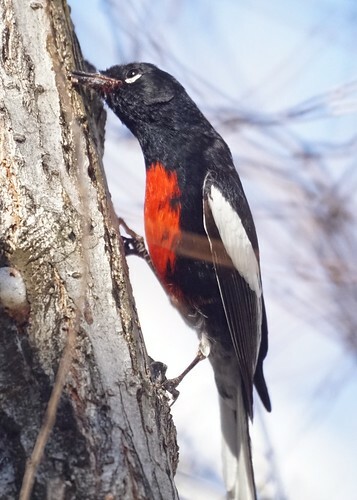 We got some good views of red-breasted sapsuckers. 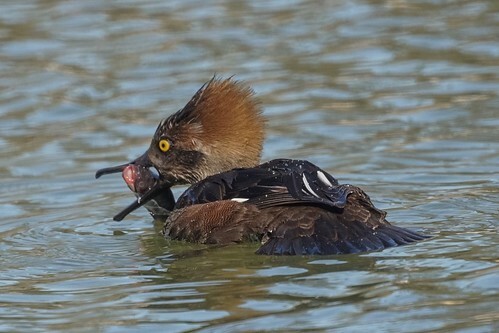 The female hooded merganser eating a fish was interesting too. 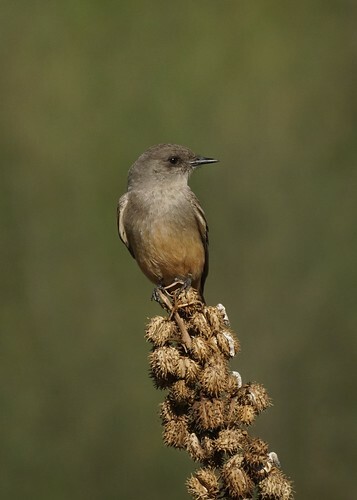 We stopped by Andulka Park and the Say's Phoebe was posing. 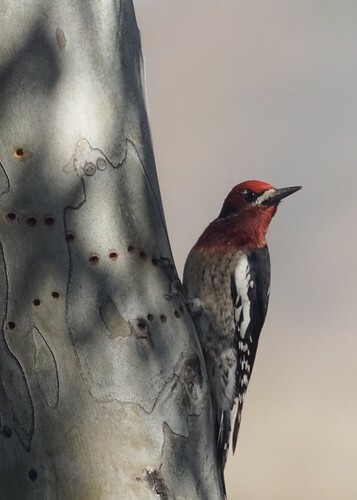 We went to Irvine Lake to find the bald eagles that had been reported. 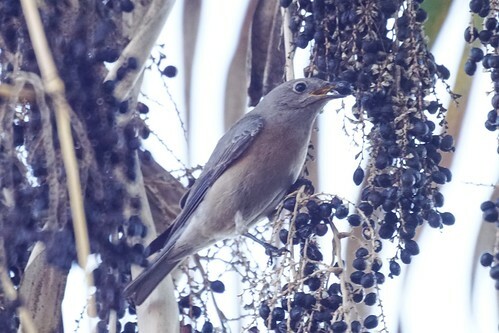 No luck there, but the painted redstart was nice. 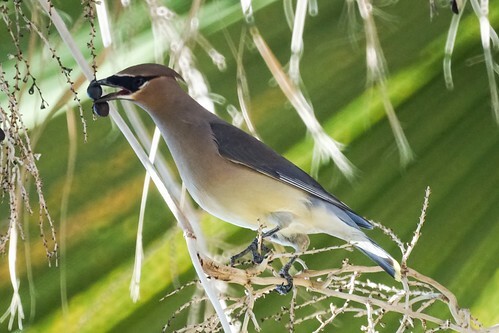 We would have gone just for that if we hadn't seen some in Arizona recently. 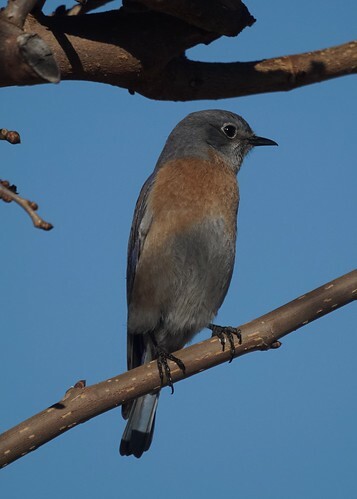 The western bluebird was nice too.